Dave Gahan is an American singer-songwriter and musician. Primarily known as the lead vocalist of the electronic music band Depeche Mode with a distinctive baritone voice, he is also a successful solo artist. 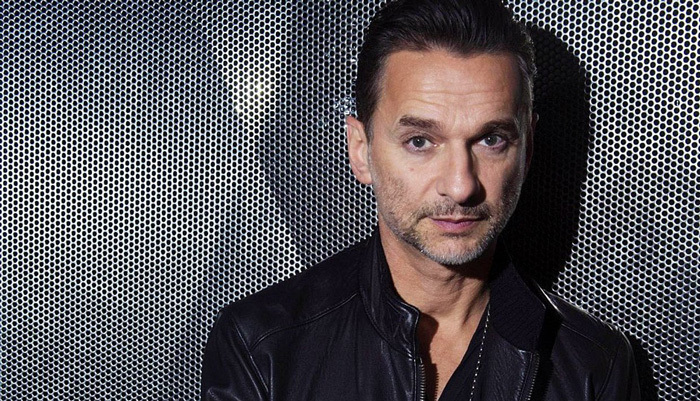 Gahan is often described as one of the most influential synth pop artists in history. Born “David Callcott” in Essex, England in 1962, his father was a bus driver while his mother was a conductress. Gahan had a difficult adolescence. He stole cars as a teenager and was arrested multiple times. Depeche Mode was founded in 1980 by Vince Clarke, Andrew Fletcher, and Martin Gore. Dave Gahan was recruited later that year and, within a few months, Clarke decided to leave. His unique baritone vocals played an instrumental role in establishing Depeche Mode as one of the most prominent new wave bands of the era. The band’s first two releases, Speak & Spell (1981) and A Broken Frame (1981), found an instant audience and both of them peaked at top 10 on the UK chart. A significant shift in Depeche Mode’s sound came in the early 1990s, when Gahan tried to fit in with the Seattle grunge scene. Their 1993 album, Songs of Faith and Devotion, featured an aggressive, dark sound largely inspired by the work of Nirvana and Jane’s Addiction. The album was a big success and debuted at number one in the US and the UK. Gahan embarked on a parallel solo career in 2003. Gahan has found moderate success with his solo albums Paper Monsters (2003) and Hourglass (2007). Dave Gahan is ranked no. 73 on Q magazine’s the list of the “100 Greatest Singers” and no. 27 on their compilation of “The 100 Greatest Frontmen”. Dave Gahan has been married three times: to Joanne Fox, Teresa Conroy, and Jennifer Sklias. He has three children — two sons and one daughter.